Rep. Alexandria Ocasio Cortez (D-NY) has been in office for less than two weeks. In that short span of time she’s become a popular figure in the Democratic Party and a media darling, praised by the left and often criticized by right. Like President Donald Trump, she is a prolific tweeter and confirmed her recent appointment to the House Financial Services Committee on the platform Tuesday night. She framed her appointment as a big achievement by pointing out how exclusive the House committee is – “one of just four.” She will be joining Rep. Maxine Waters (D-CA), who is the first African-American chair of the committee, which oversees Wall Street’s banks and the financial industry. The freshman’s appointment to the committee is already causing headaches on Wall Street. 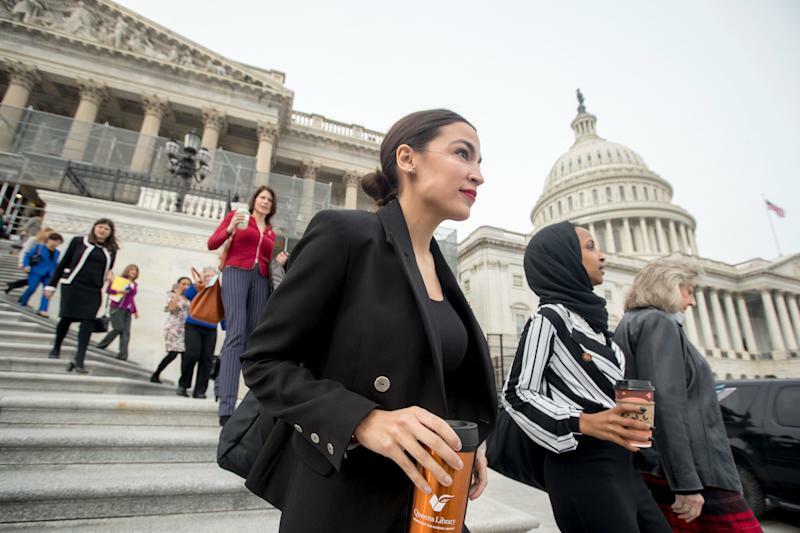 On Wednesday, Horizon Investments’ chief global strategist Greg Valliere said that markets should be worried about Ocasio-Cortez. Popular support for Ocasio-Cortez’s agenda of raising taxes on the wealthy could threaten the tax cut legislation passed in 2017 that’s been seen as primarily benefiting the wealthy and creating less of an overall economic boost than promised. Valliere points to a recent Hill-HarrisX poll showing that 59% of respondents are in favor of the 70% top tax rate for the wealthy that Ocasio-Cortez suggested on a recent interview with “60 Minutes.” A majority of Democrats support the idea as well as 45% of Republicans. “The era of tax reductions is over; the challenge for conservatives is to simply keep the existing Trump tax cuts in place during the next decade,” Valliere wrote. Although he doesn’t view Ocasio-Cortez as an imminent threat to markets, Valliere says if enacted, her tax agenda would add to the federal deficit, already projected to approach $1 trillion in 2019. Voters’ changing attitudes about taxes and government spending bears watching. And “the seeming rejection of capitalism by young people is something to take very seriously,” he says.